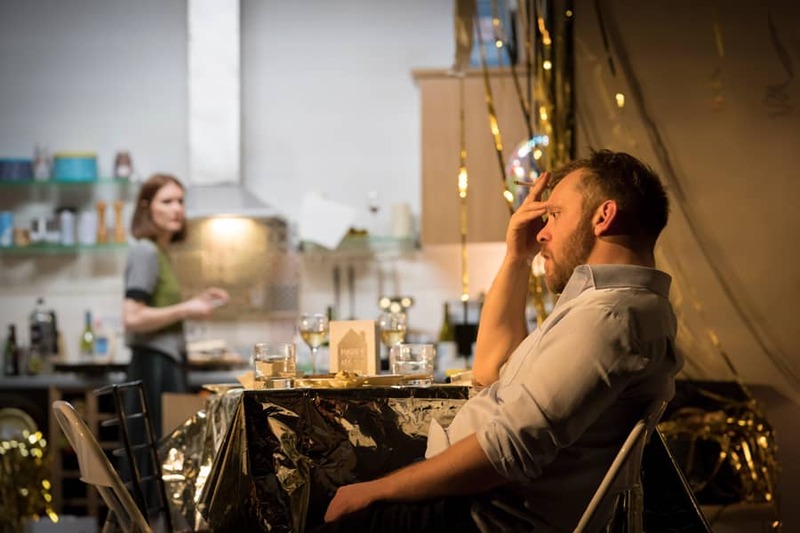 Justine Mitchell and Sam Troughton in Beginning. Two people dancing to Bros has probably never been so filled with such layers of drama, comedy and emotion as in David Eldridge’s latest play, Beginning. 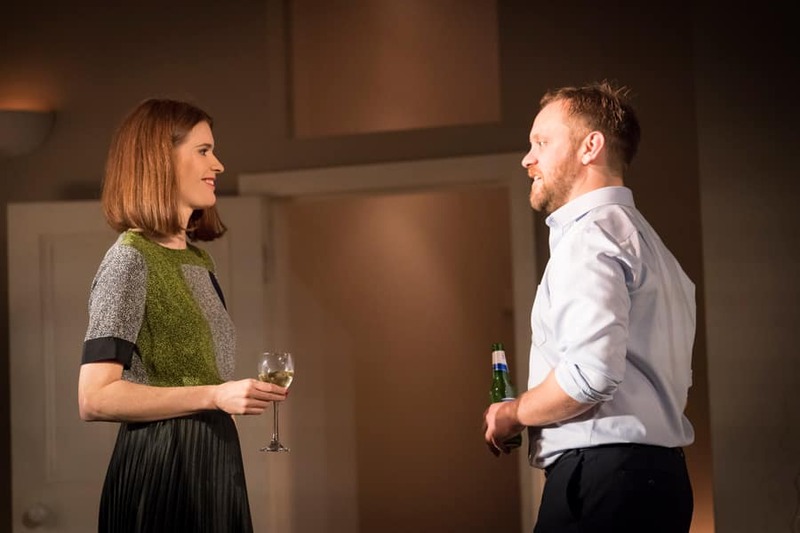 It is one of the highlights in a production that resembles a dance between a man and a woman, moving tentatively and nervously around each other, possibly edging towards what could be the beginning of something. Beginning starts late at night in the Crouch End flat of Laura after everyone has left her housewarming party except for Danny who has been eyeing her up all night. They couldn’t be more different: she has a home in a smart north London neighbourhood, he comes from Essex; she is sexually confident, he is shy and lives with his mum and nan. But, as the clock ticks, layers are peeled away to reveal they have more in common than just a love of scotch eggs. 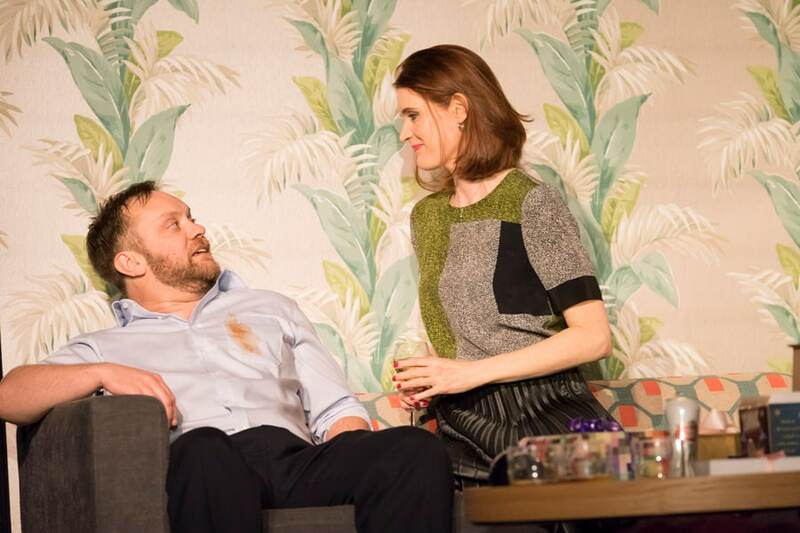 Forty-two-year-old Danny has been broken by a past relationship and Laura, at 38, has her own anxieties, while both struggle with being alone as they approach middle age – single despite living in a world full of friends, colleagues and online dating. Their awkwardness is funny and delightfully painful to watch but, as we start to understand the baggage they carry, it feels more uncomfortable and almost voyeuristic. Directed by Polly Findlay, Justine Mitchell and Sam Troughton give beautifully crafted performances, bringing meaning to every intonation, movement and expression. They move like magnets around each other, continually attracting and repelling each other, where one misjudged comment can fling them to opposite ends of the stage – or to the safety of the kitchen. The set, designed by Fly Davis, creates Laura’s living room in meticulous detail, with furniture and party detritus like a landscape of obstacles for Laura and Danny to negotiate as they get to know each other. At times very funny, Beginning also has moments of heart-breaking intensity but without becoming sentimental. It is a masterful two-hander that will especially resonate with anyone who finds themselves single as they face middle age.